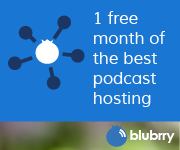 I’m not a fan of paid content in podcasting. It does work for a select audience, but it does nothing to gain listeners. 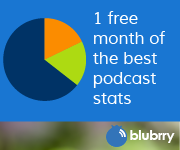 Most podcasters have enough trouble getting listeners when it’s free and easy. You can do it using WordPress plugins for a subscription (paid) site such as Wishlist member and others. It does work for bonus content but In most cases, this does not need to be in podcast form. Videos / Audios played or downloaded from within a protected page seems to be less troublesome to setup. Q. I have a RadioShack four channel mixer with a left right one quarter Jack Output. I’ve discovered that I can’t record onto an iPhone. So I tried a digital recorder, and discovered it only recorded in mono. Is that a problem? Is there a way to record in stereo? A. There are several ways to go about this. Record to 1 track and then convert to True mono or Joint stereo in Audacity or other audio editing software. Get a mono to stereo adapter.